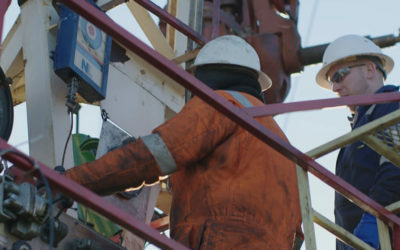 Angus Energy holds a 25% stake in and is the Operator of, the Balcombe Discovery along with its partners Cuadrilla and Lucas Bolney. The Balcombe site lies approximately 8km south east of Crawley near the village of Balcombe. The conventional oil accumulation lies on the downthrown side of the Borde Hill Fault, with dip closure present both to the east and west at Upper Jurassic level. The field is positioned in a prime central location of the Weald Basin, where buried rock intervals are at their thickest, and oil source rock intervals at their most mature. The discovery well Balcombe – 1 was first drilled in 1986 by Conoco, targeting the Great Oolite, Portland Sandstone and Mid Kimmeridge Micrite. Based on the evidence gained from Balcombe 1, and the proven presence of hydrocarbons in the Mid Kimmeridge Micrite, Cuadrilla (the previous operator) was granted planning permission by WSCC (West Sussex County Council) in April 2010 to undertake exploration work at the site. Subsequently, Balcombe – 2 and its associated side track Balcombe – 2Z were drilled to a vertical depth of 2,200 ft, and horizontally to a length of some 1,714 ft through the upper Kimmeridge Micrite. No hydraulic fracturing was carried out, nor will it ever be at Balcombe. The Balcombe Discovery is considered to be in the ‘sweet spot’ of the Weald Basin given the 568m thickness and highest maturity of the Kimmeridge layers. 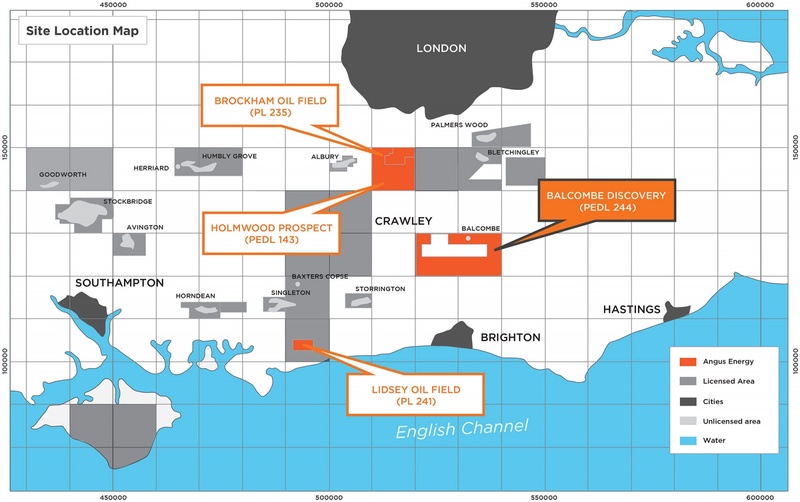 Regional work by Angus has established that the Kimmeridge micrite layers encountered at Balcombe can be regionally correlated across to both the Brockham oil field and Horse Hill, where in 2016 UK Oil & Gas Investments PLC and their partners announced excellent flow rates from the Upper and Lower Kimmeridge Micritic limestone reservoirs. The Balcombe – 2Z side track has opened up an approximately 1,700 ft horizontal section through the upper Kimmeridge Micrite, which is naturally fractured and offers an extensive zone through the reservoir to test. This same zone was tested very successfully at Horse Hill in 2016 flowing ~900 bopd from the same limestone section through which the horizontal Balcombe 2Z well is drilled. The well is to be tested shortly. All operations at Balcombe will be performed through conventional production. There will be no hydraulic fracturing or “fracking”.